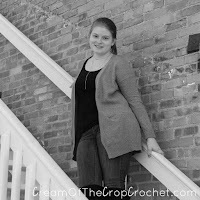 This adorable crochet hat pattern is brought to you by our guest Brie Carr, young crochet designer and blogger at Cream Of The Crop Crochet. *Disclaimer: This post includes affiliate links and at no additional cost to you, I might earn a commission if you decide to purchase your supplies online. Thank you! 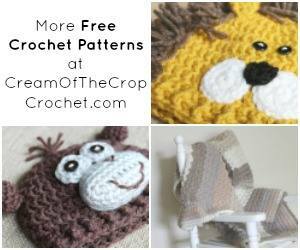 Please do not reprint or repost this pattern, instead link to the pattern, if you would like to share it with others. Do not make video tutorials or translations for this pattern without written consent from the designer. Thank you! *These are our finished sizes. If yours doesn't fit within these measurements, please check your gauge. 3 dc stitches x 2 rows is 1"
Fin: Row 4, the ch 2 is the process of increasing that side. Once row 5 is completed, it should look like stairs. Another option is not chaining 2 and just making 2 sc in same st (as shown in photo by fin instructions) instead. Thank you so much Brie for sharing this cute hat pattern with our followers! 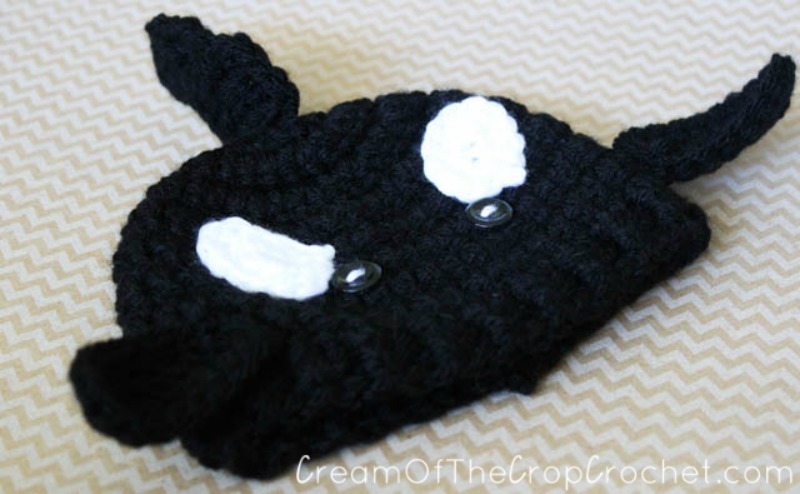 Be sure to check out Brie's blog for more adorable animal hat patterns and many other lovely designs! Cream Of The Crop Crochet was started in 2014 by Brie. She's a 3rd generation crocheter, that has always been fascinated how a crochet hook can knot yarn. 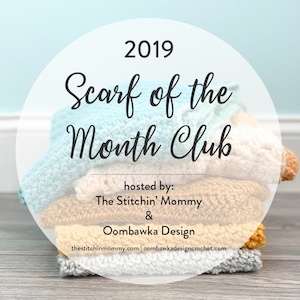 In 2012, she learned how to work her magic with yarn and a hook. 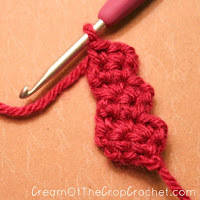 Follow her journey with the crochet hook on her site!